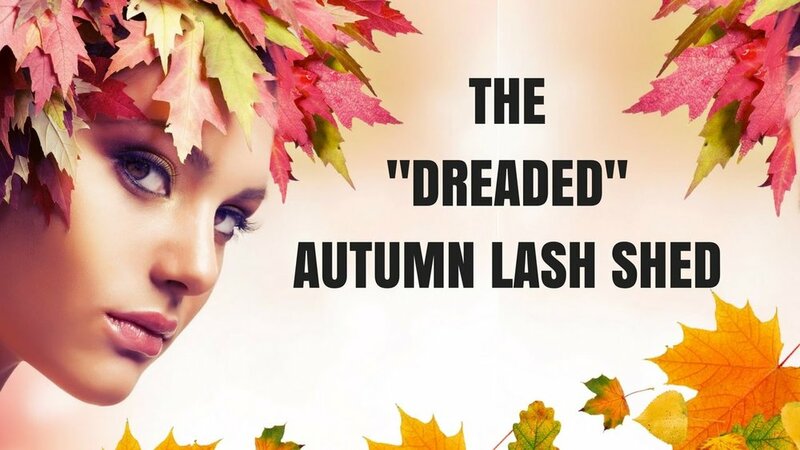 Autumn Lash Shed is Here! Autumn lash shed is settling in and I'm here to tell you what that means exactly. During the summer months, we produce more hair to protect our skin from the sun. You may have noticed that your hair is fuller and grows in quicker in warmer temperatures. If you color your hair, you will see that your roots appear to grow out fast as well. This is all due to your bodies natural reaction to these seasonal changes. Once the weather starts to change, the blood flow is redirected. As the body responds and adjusts to the change in temperature, the superfluous hair that grew out in the warm months is no longer needed. As a result, the dreaded 'Autumn Shed' commences. So what does this mean for my lovely lash wearers? Understand that this is a completely natural occurrence. Your lashes are not damaged or falling out due to trauma. They are settling into a knew cycle for the season. But, due to the temporary excess shedding, you may need to book your fill appointments sooner. So instead of every 3 weeks, schedule in 2 weeks. Another option is to book a longer fill appointment to allow more time to fill a set that is thinner than usual. In addition, maintaining your natural lash health is my top priority, so I may use shorter or thinner eyelash extensions in an effort to not overload the new baby lashes growing in . The good news - Autumn Lash Shed is only temporary and lasts for about 6 weeks. In the meantime, continue to do good after care, drink water, take your vitamins and we will ride it out together.